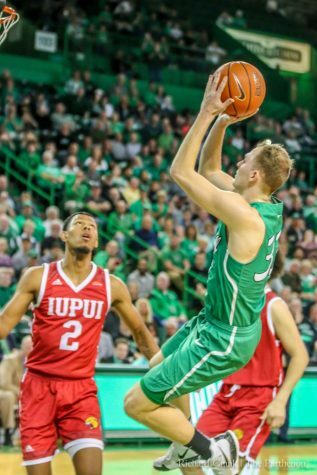 Parthenon File Photo Milan Mijovic shoots for a two-point shot as the Herd takes on Middle Tennessee for the C-USA Men’s Basketball Semifinals on March 11 in Birmingham, Alabama. 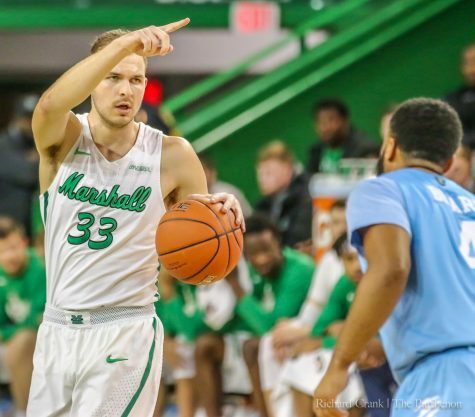 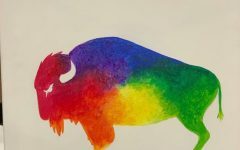 After finishing third place in C-USA and falling two wins short of a NCAA tournament bid last season, the Thundering Herd men’s basketball team will break into the big tournament behind third year head coach Dan D’Antoni. 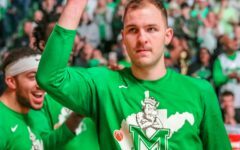 D’Antoni wasn’t willing to guarantee wins and losses, but did guarantee some things he considers under the teams control. 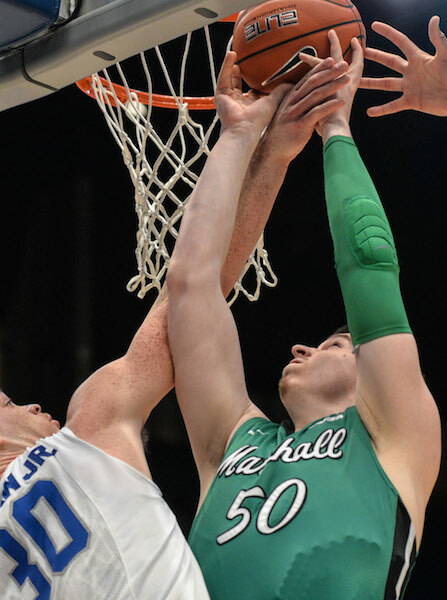 Marshall will look to improve on the defensive side of the ball where they were out rebounded by an average of three rebounds a game last season. 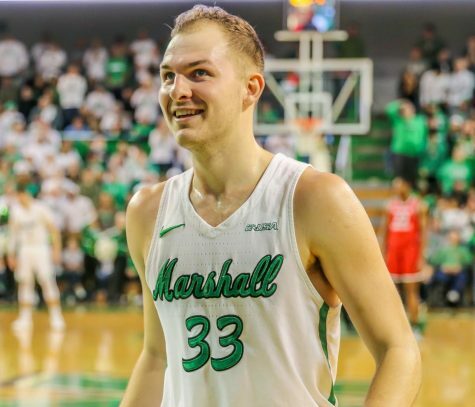 While Marshall has on fire from three last season, they also allowed their opponents to shoot nearly 40 percent from beyond the arc. 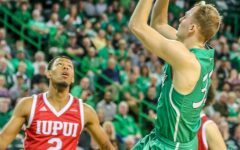 Describing his team this season, D’Antoni said he knows they will be better at the end of the year. 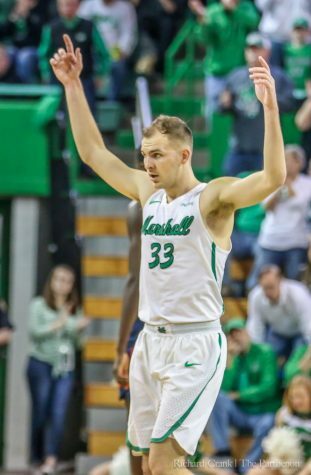 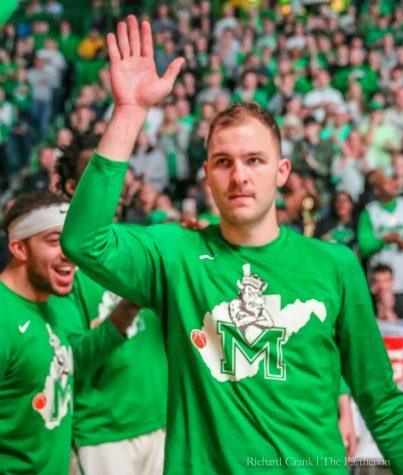 Marshall has six of its top seven scorers back this season, with only James Kelly departing, giving the Herd a good chance to build on a 2015 season that showed the team to be offensively explosive and full of potential. 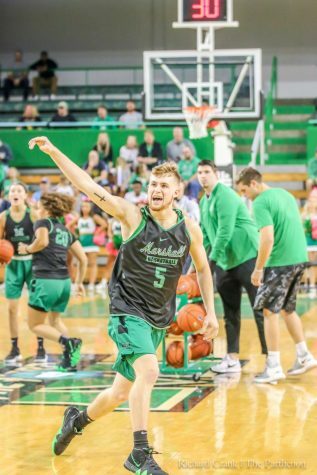 Senior forward Ryan Taylor is one of those returning players, and also one of Marshall’s top three scorers from last season. 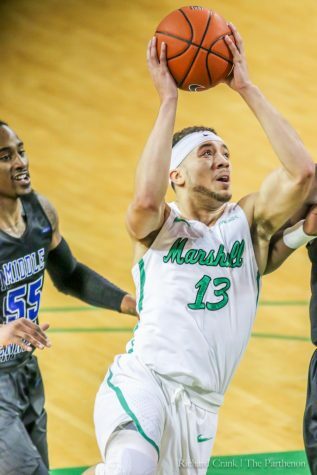 Marshall will open up regular season play at noon Saturday, Nov. 12 at the Cam Henderson Center and will look to open the season with a big home win against North Carolina Central.